Thursday (Feb. 4) marks World Cancer Day. World Cancer Day was established by the Paris Charter adopted at the World Summit Against Cancer for the New Millennium in Paris on Feb. 4, 2000. The goals of the charter are the promotion of research to cure as well as prevent the disease, upgrades to the provided services to the patients, the sensitization of the common opinion and the mobilization of the global community against cancer. 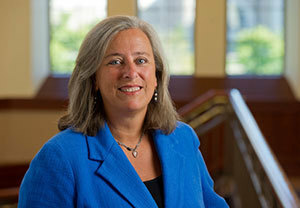 M. Sharon Stack, the Ann F. Dunne and Elizabeth Riley Director of the Harper Cancer Research Institute and Kleiderer-Pezold Professor of Chemistry and Biochemistry at the University of Notre Dame, notes the importance of research in the battle against cancer. “According to the American Cancer Society, we can expect over 1,600,000 new cancer cases in the United States in 2016, with approximately 35,000 of those here in Indiana,” she said. “Cancer is a highly complex family of diseases that will not be eradicated with a single magic bullet. Instead, we need to delve deeply to develop a molecular-level understanding of each cancer type, or subtype, to identify disease-specific targets. Additional benefits will result from this detailed level of understanding, including better ways to detect cancer early and to predict which subset of patients will benefit from more aggressive therapies.